My grandmother used to keep her teabag in her teacup the whole time she drank it. She liked her tea strong and steeped. I've recently begun leaving my tea bag in my green tea. I like it steeped... it extracts the flavors and all the good stuff green tea has to offer. I've also found myself steeped in my business. When you start something new, it's like steeping tea. Your brain is permeated with ideas and new thoughts. Life and/or work is infused with excitement for this change or new thing introduced to it. Your passion is ignited. All the good stuff is extracted from your brain (the tea bag). You are steeped. I have created a busy schedule meeting with potential new clients and colleagues and current clients. Having been in business less than a year, things were moving forward well. I thought about my business all the time. I was accessible and responsive at all hours. Ideas flowed easily and my mind's wheels turned with excitement. I added new projects. I wrote proposals offering services. I developed new programming. I built my networks. Then we had a snow storm. We were without power for a day and my daughter was out of daycare. That one day put me back two. I had two full days of caring for my sick baby. My full attention was there. And now I'm behind another three or four days. At some point, if you leave the teabag in the cup, it becomes bitter. Like starting something new in life or work, if you focus solely on the infusion of new thoughts and ideas and excitements, the result isn't so exciting. Infatuation fades. 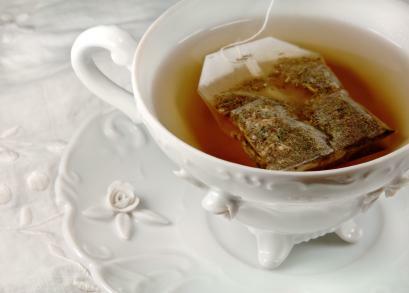 The best cup of tea is steeped just the right amount. You either have to drink the tea or remove the bag. Getting in too 'steep' is not only for new projects or ideas. For example, if your role is to provide leadership to your staff, and you are constantly spending your time managing project budgets and timelines, attending management meetings, and writing reports, are you providing effective leadership? Is your team engaged and productive as a result? Do you need to take the teabag out, make a new cup of tea, or simply drink the steeped tea? Even better... have tea for two with an employee or a loved one. Pomroy Consulting Inc. provides consulting and coaching services in Human Resources Management, Leadership, and Organizational Development. Contact Tina Pomroy at Pomroy Consulting Inc. for a free consultation and add Pomroy Consulting Inc. Facebook page for more frequent ideas, tips, and guidance.